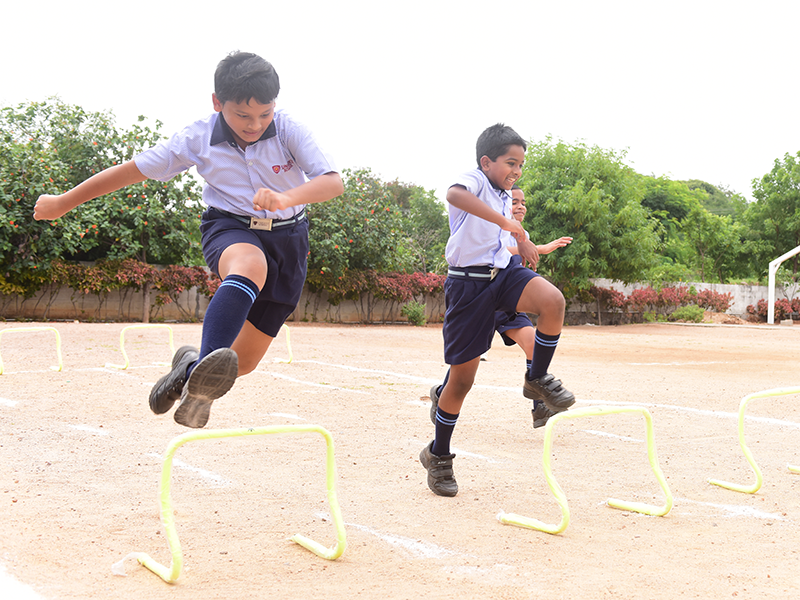 Games and Sports form an integral part of school curriculum. 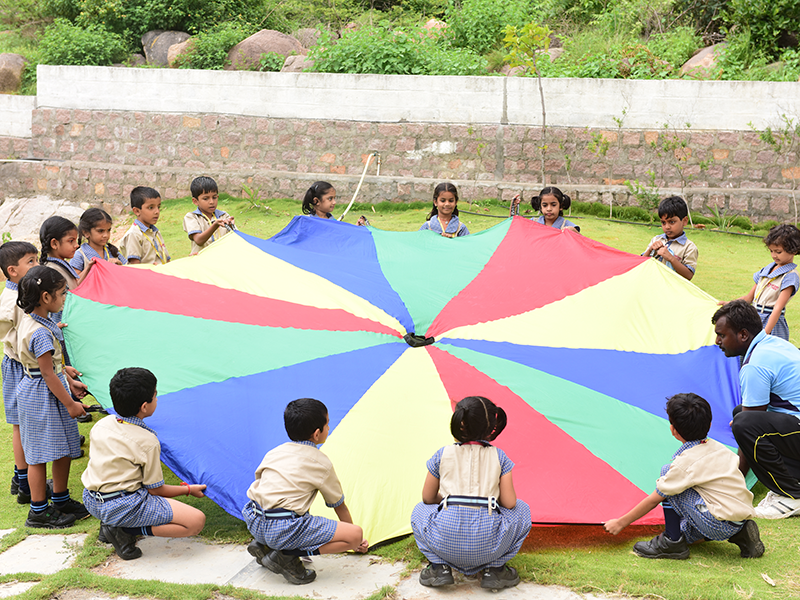 It is our constant endeavor to involve more and more students to take part in various games. Primary classes have weekly PT periods. Secondary classes have specialized classes. We have a compulsory yoga period for every class, every week to teach mental and physical relaxation, good health and to develop good personality. We also do the same as warm up exercises as part of the assembly, once a week. Encouraged by the positive response, the school is organizing yoga/ meditation classes as separate crash courses which are optional. 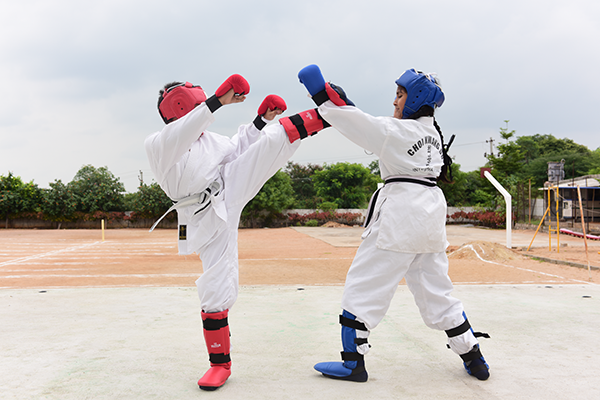 It is our aim to develop the qualities of healthy competition sportsmanship, character building and physical fitness. 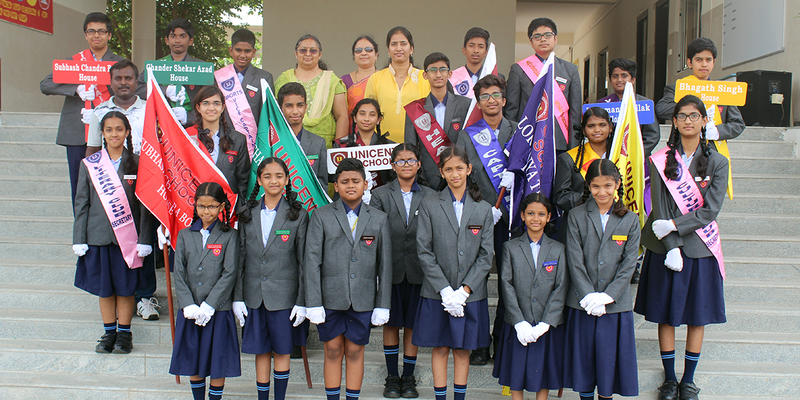 Inter house and Inter school competitions are conducted for boys and girls where we spot our talented children who could be taken into hands for intensive coaching to prepare them for inter school state level and national level competitions. 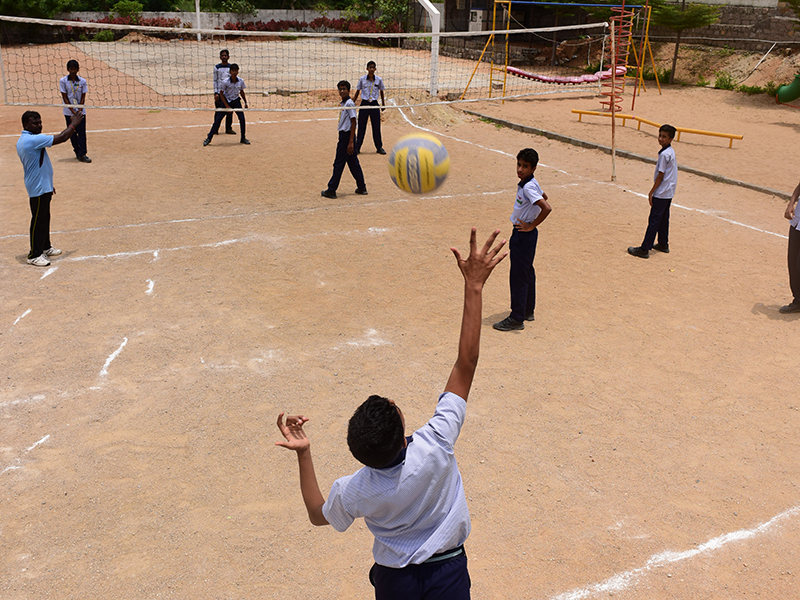 Every year many of the students get the opportunity to play at city, state and national level tournaments. We give due recognition to our players who achieve at the city, state, national levels. We award certificates for participation in state and national level competitions. We award merit certificates in Interhouse competitions. 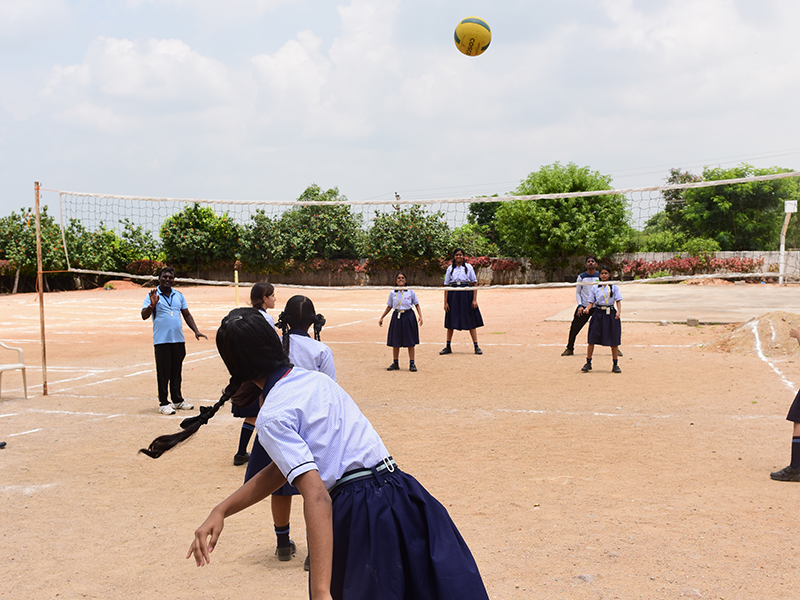 Our school provides special coaching every Friday in various disciplines under the guidance of expert coaches. The school provides facilities for several games. 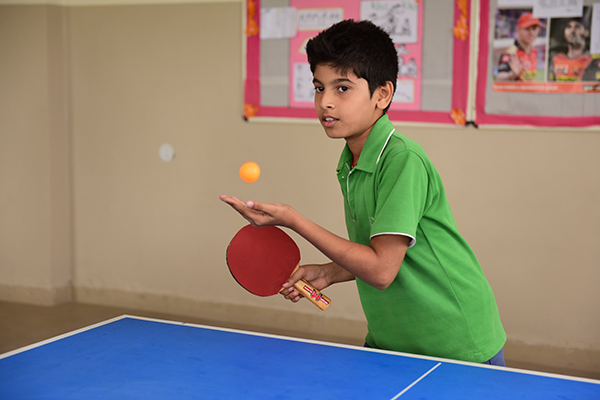 To encourage healthy competition, character building, physical stamina, Inter- school competitions are held in all available games for senior and junior boys and girls each year. 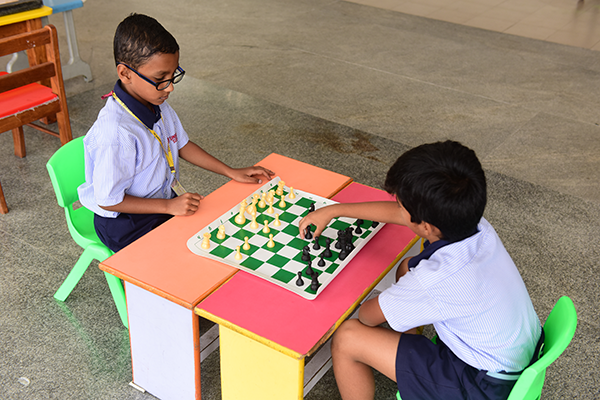 Games form an integral and vital part of the school curriculum. One team game is a compulsory part of curriculum from classes V to X. 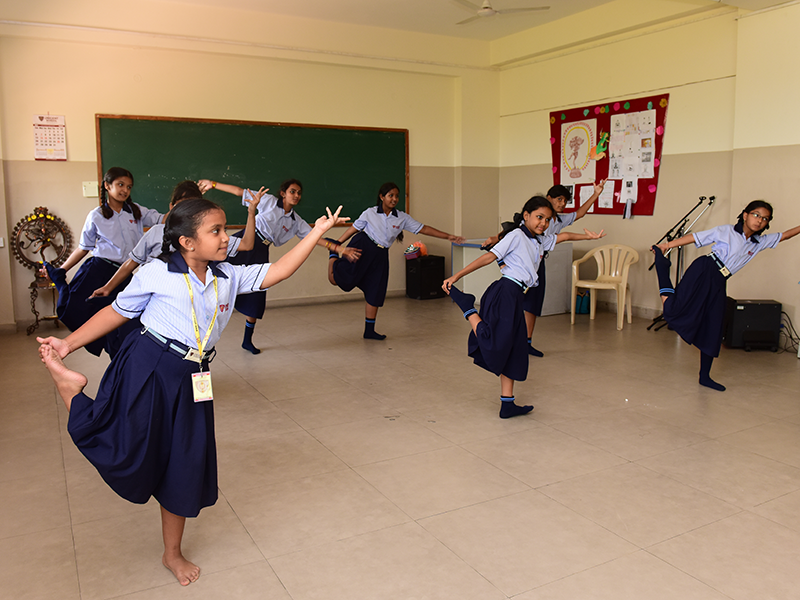 Every morning students assemble to start to their day together with warm-up exercises in the form of yoga or aerobics and the prayer. This instils a spirit of togetherness and camaraderie. A long assembly is there once a week, with several presentations and celebrations based on a pre-decided calendar. Trekking, camping, rock climbing and so on are the regular activities for our boys and girls. These are organized during vacations regularly under the supervision of expert trainers, for imparting hands on knowledge to the students. There are 4 groups, Ruby, Sapphire, Emerald and Topaz named after famous personalities Azad, Bose, Each group has got a group leader. With these leaders, the group works through the guidance of the mentor teachers. Each group conducts assembly for one week in a month, which includes special assemblies and festivals. 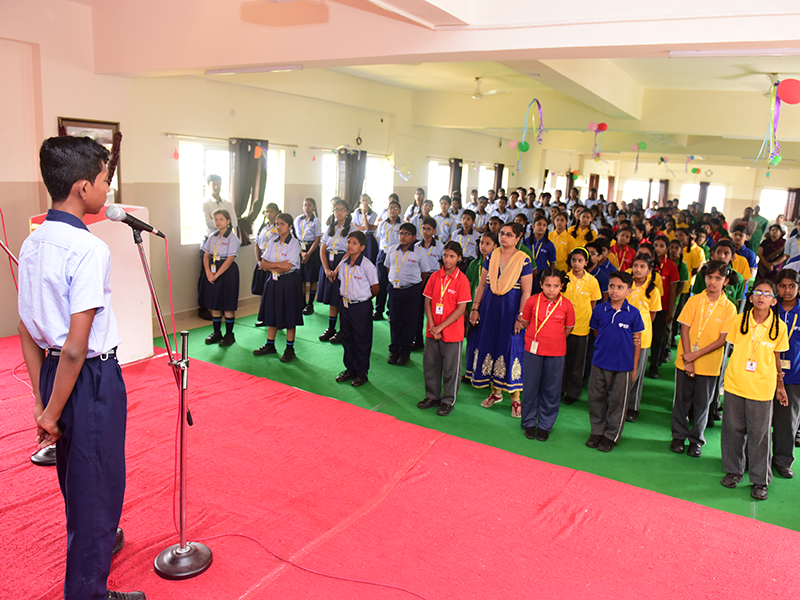 In continuation to our efforts towards overall development in our students, we impart practical lessons in personality development and soft skills like grooming, table manners and etiquettes etc; we conduct workshops for students in personality development which includes sensitivity and equity, developing competitive spirit, developing of self learning habits, public speaking, adolescent education, taking care of safety of self and so on. Students are encouraged to work in the community, with the people of their residential area and in and around the school. They take up awareness campaigns on various issues like traffic safety rules, girl child issues, disposal of garbage and so on. They also help in fund raising. The school works with some NGOs and voluntary organizations in the neighborhood. This develops the quality of philanthropy in students. 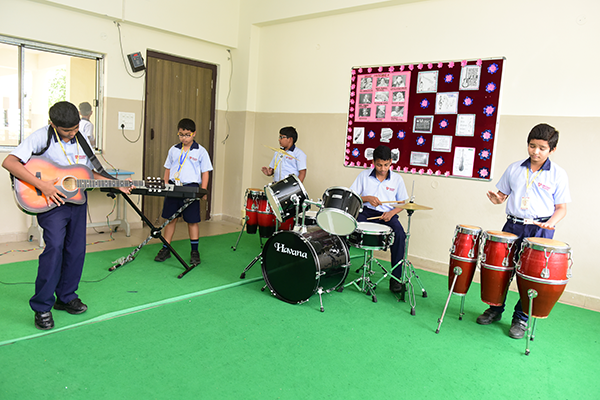 Hobbies, Clubs and Societies are integrated for the primary classes; table tennis, skates, karate, chess, keyboard, guitar and dance are some of the choices given to the students for hobbies. Hobbies are classified under Sports and Performing Arts in the secondary school. The following clubs are also offered as choices. The Environment Club or Eco Club has a group of students working on the field. Students take care of plantation starting from sowing the seeds to reaping the yield. Our students grow flower plants and vegetables in the school campus under the supervision of a gardener and teachers are allotted as mentors for guidance. This helps the students to learn the methods of agriculture like ploughing, sowing, watering, compost pit making and harvesting. This cultivates care and responsibility for the environment in the student’s mind and keeps him in touch with the nature. 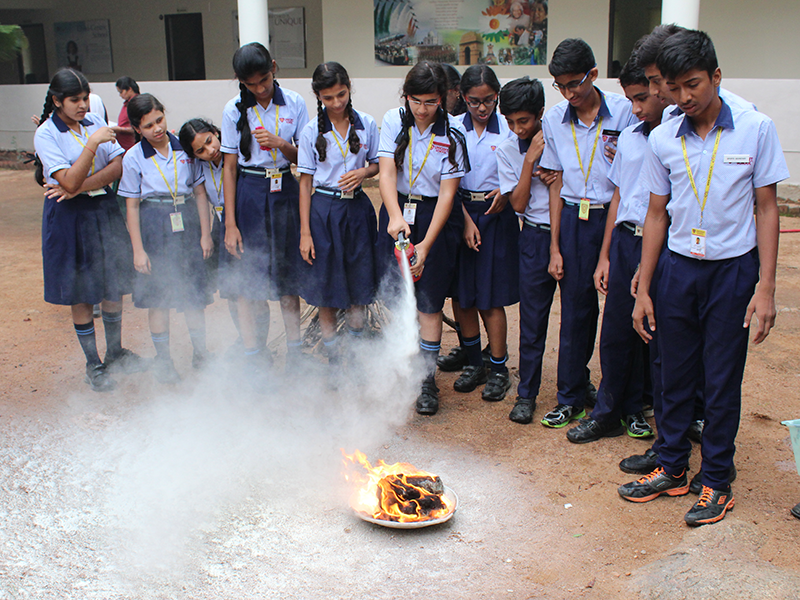 Heritage club includes activities which develop the zeal in students to learn about our culture and traditions. The activities like heritage walks, visits to monuments of historical importance, interactions and interviews with artists, documentation about the joint families, history, tradition, food habits, state festivals, dressing styles helps the students to build respect for our culture and customs and gives them information about the past and present. Mehendi designing and other forms of traditional art are other activities which develop the student’s interest in art and creative work. This club covers a wide range of activities and involves the students in learning the techniques to simplify the work, collecting the information about medicines, learn to do daily household activities like making tea, stitching buttons, lemonade making, table manners. 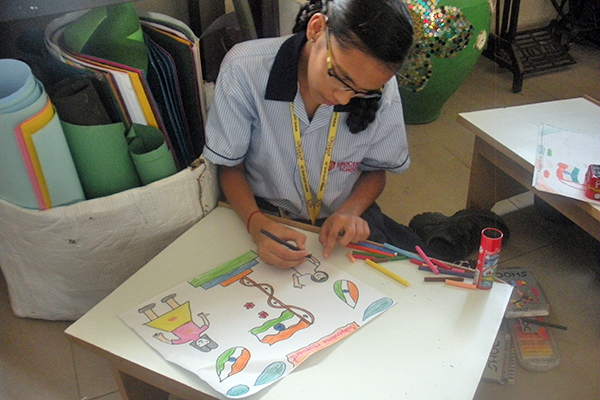 Students are also taught different techniques of drawing, painting and art work. They are also given exposure on craft work, origami, book binding, embroidery and garment designing. Organising the health check-ups are also part of the activities carried out by the club. 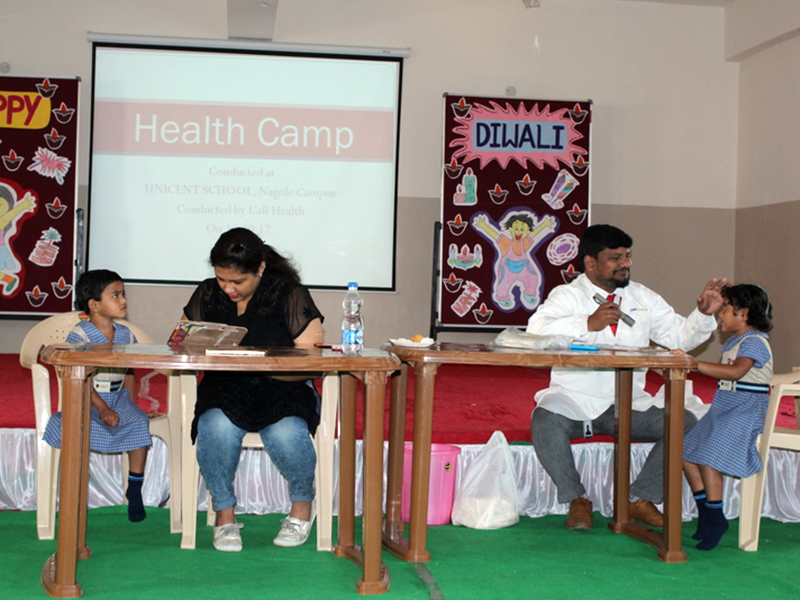 They also organize sessions on healthy food habits and balanced diets. Quiz club encourages the students to learn or get to know the information about the unknown facts and happenings around the world. This sharpens the student’s brain and motivates him/her to participate with enthusiasm. The activities carried out by this group include doing questionnaires and competitions on history, current affairs and discoveries. Literary club is one of the most useful activity clubs that develops the student’s ability to communicate and express his views through writing activities like storytelling, making a picture or collage Creative thinking is developed by puppet making, one-act play and monologues. Scrabble competition is also conducted by the club to improve the student’s ability to communicate in English. Newsletters and class magazines are developed with the students during the activity time. Literary reviews through film watching and reading circles form an integral part of literary activities. The Disaster Management Group is a part of the Club and reminds all the students about both their own safety and the nearest surrounding by keywords and school exhibitions, at the time for trips, rallies and camps begins, to be careful. Be visible! Be reasonable! Be responsible! Be safe at your leisure! Photography is part art and part science. Photography club was started at school to teach the children the science behind the art. Technology involved, light, equipment and several other aspects are discussed. The club members also double up as official photographers for all school events, giving them a chance to build their skills. 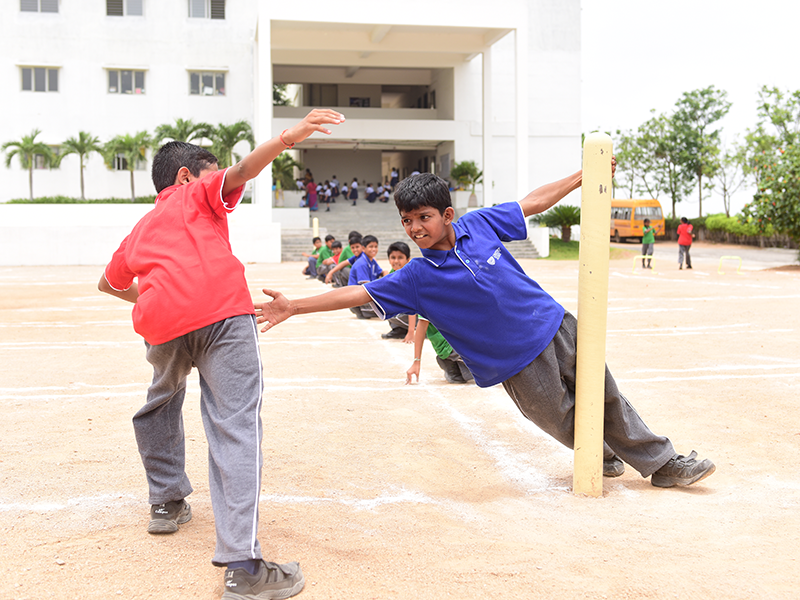 Interhouse competitions are organized to develop the competitive spirit amongst the students. 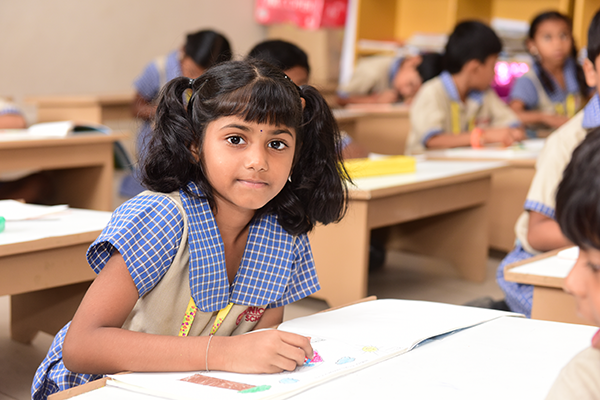 Besides, students are encouraged and trained to participate in the interschool competions, competitions organized by the CBSE, and the Olympiads. English and math Olympiads are compulsory for all the students.